Dodge doesn’t have to announce how great its engines are in performance cars. People that own them already know. It’s one of the inside secrets in the automotive industry. Most people fight constantly over Ford and Chevy but Mopar is a quiet leader. Replacing an engine is more than just worrying about the company that puts a nameplate on it. What you get for your money and the power that you receive upon startup are what matters most. 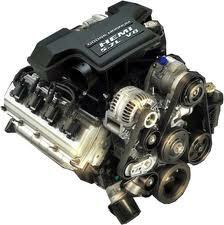 We can sell you a Dodge Hemi 426 crate engine for a price that you will not get someplace else. When it comes to crate engines, we know our stuff and we don’t make you pay high prices for an engine drop. The 426 is a large engine. The V8 power has yet to be matched by other builders or manufacturers. Its large 7.0L displacement lets you know right off the bat that this engine means serious business. The size might be large but the sound is not overbearing. When the 426 is fired up, it sounds just as smooth as a brand new engine in a passenger car. When the throttle is pushed to its max is when this Hemi opens up. We believe in Mopar engines and this is just one of the reasons that we put our time and investment into selling them. Not every crate engine that is made in factories is able to be put into just any car. Dodge has always been known as a company that provides variety. Each of Dodge’s motors are designed to fit into multiple cars and not complicate a project car build. The Hemi V8 can fit well into a Jeep, Magnum, Charger, Challenger or even a luxury car like the Chrysler 300. One thing all these vehicles have in common is the typical motor mounts that Dodge uses to make engine installations and swap outs easier. Putting our 426 crate engine inside of your vehicle is just as easy and stress-free. We offer all of this to you and a low, low online price. The engines sitting in our inventory right now are all tested. We never import anything or try to sell the work of someone else. An engine from www.crateenginesforsale.com is a genuine motor that personally includes our experience as engine mechanics. We ensure that every single part of the 426 is what you expect in a Dodge Hemi crate engine. From manual and computer testing, we pull out all the stop and always deliver on the promises we make about engine condition and quality. We ship our Hemi 7.0L V8 engines around the world and provide an easy way for anyone to get a price quote on our website. Price quotes are what starts the process of you learning how much you save on Dodge crate engines here. The quote system that is in use on this website gives you all the information you need to evaluate our engines and company before you buy. We always provide the most comprehensive and friendly customer support when you call (336) 355-5679. We do a lot for you and even more when you become one of our Dodge engine customers.